Would you like to deepen your knowledge in AntiGravity® Suspension Fitness? Join us for a 2-day training with Master Trainer Josie Say from NYC! During the 2-day teacher training in AntiGravity® Suspension Fitness 2 you will be given all the tools you need to teach AntiGravity® Suspension Fitness 2 in a safe and fun way. AntiGravity® Suspension Fitness 2 will give you the right tools to explore the field of suspension fitness and the 3-dimensional space togehter with your students. 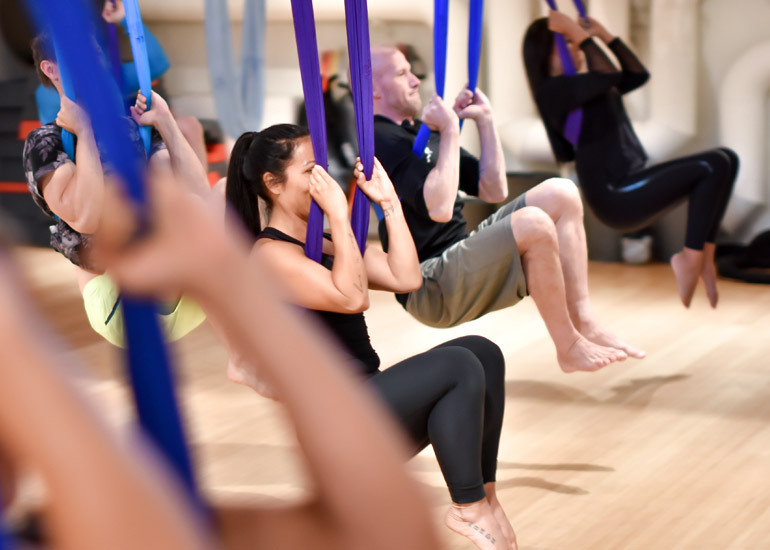 Requirements: You will need to be a certified AntiGravity® instructor (AntiGravity® Fundamentals 1&2) and taken the AntiGravity® Suspension Fitness 1 to take this course. However it’s important that you are comfortable to lead students and have a desire to help them develop through your coaching. Other important qualities are a desire to happily share your passion for AntiGravity®, that you are clear, happy and see all students equally.